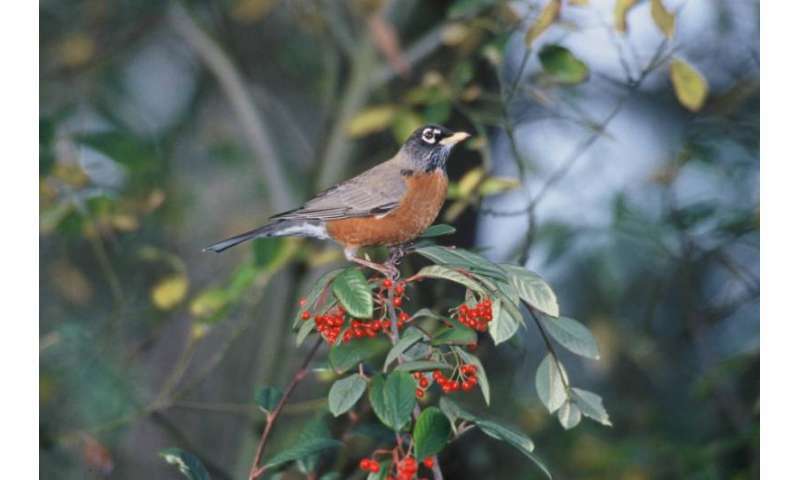 Are birds smarter than Columbus? Another great find on Twitter, for geography, biology and physics classes. 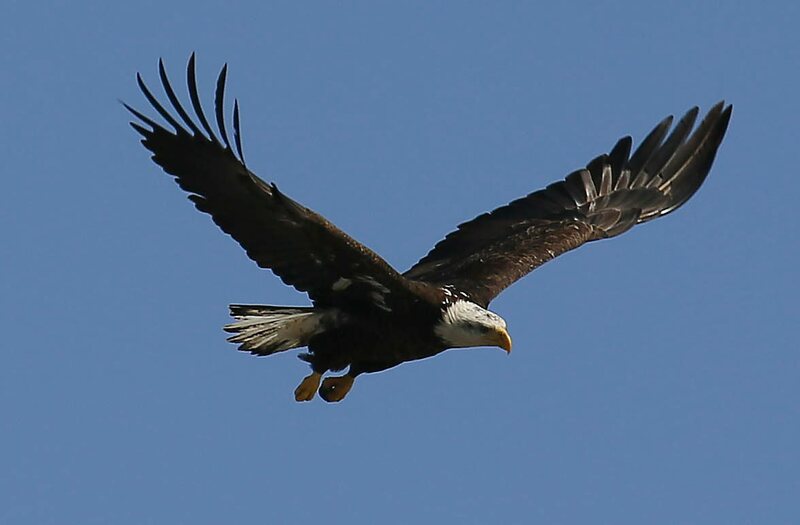 How do birds navigate, compared to, say, Columbus? Most U.S. history texts make a big deal of Columbus’s navigation, made possible by invention of the magnetic compass and the sextant. Birds are more accurate, and they have neither. Well, they don’t have external magnetic compasses. See the cartoon. Neuroscientist and cartoonist team up to talk about birds “seeing” magnetic lines of the Earth! Information from Dwayne Godwin at Wake Forest University School of Medicine, with drawings by Jorge Cham, who draws Piled Higher and Deeper. Teachers, have someone in the drafting department make this cartoon into a poster for your classroom. As usual, the truth is more weird and wonderful than fiction writers could hope to invent. Tip of the old scrub brush to Columbia University’s Twitter managers. National Wildlife Refuges. Four days ago, most people were very fuzzy on what they are, except for members of Ducks Unlimited, and conservationists. Here are a few Tweets to help the rest along. “Conservatives” want to sell these lands off, or drill for oil or gas, or mine for minerals, on many of these lands. Will these places be preserved for your great grandchildren and America’s future? 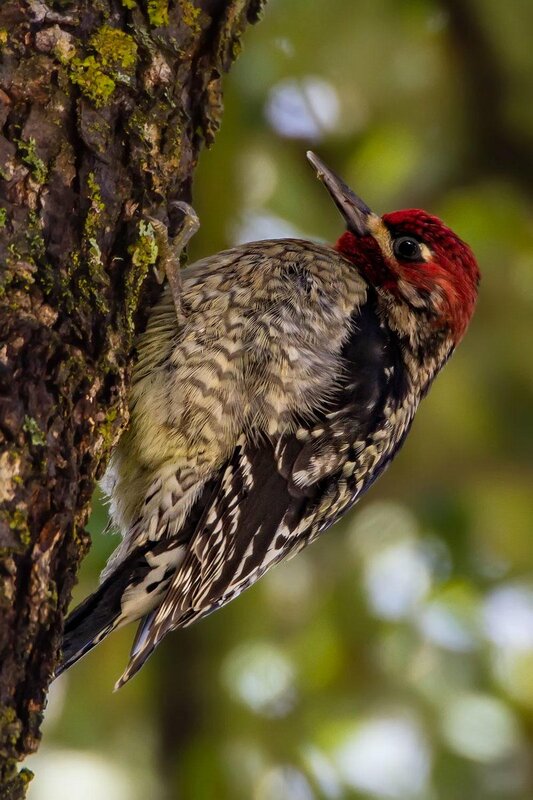 I really like this close-up of a woodpecker; from Twitter. It was clear this morning, but the snow started just before 9. It’s predicted to warm up enough that the stuff from the skies will be wet, but the ground will be stay frozen. Ice storm. Businesses and schools shut down about noon. 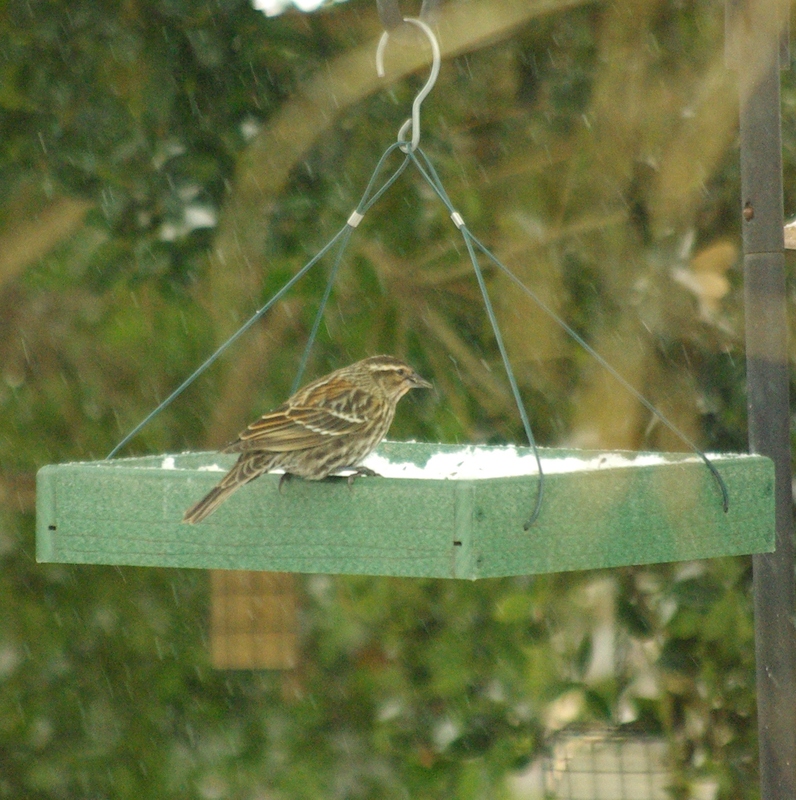 Something about snow makes the birds hungry. A tube feeder we filled last night emptied by noon. At home we refill the feeders as best we can. Rewards are high. We’ve had six species in the yard at any time, all morning, and at least eight species total. A sparrow — a chipping sparrow juvenile? 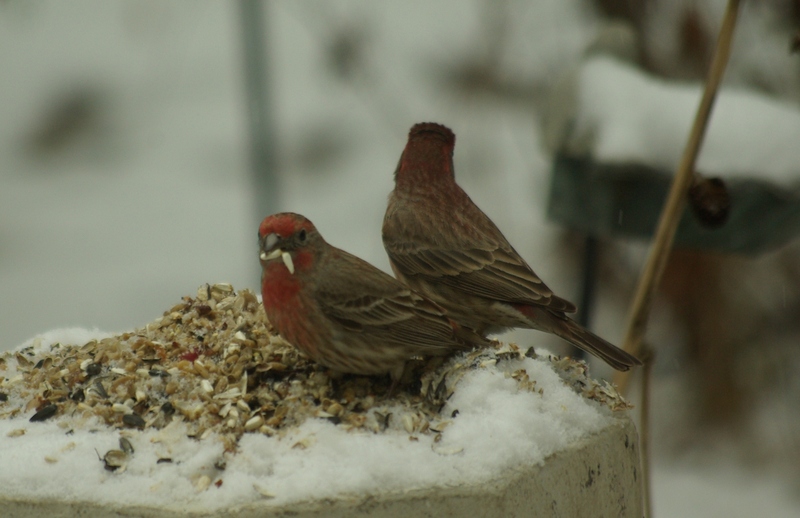 — acting as scout to find food; it was joined by at least two companions after dusting snow off of seeds in the feeder, and finding them suitable. It would be nice if our downy woodpecker friends would visit, but they’ve been scarce most of the fall. As usual, we have some vireo or other (Bell’s, I think), but it knows us well enough to be able to sing to get us excited, but appear only when humans are not looking. How are things in your yard? 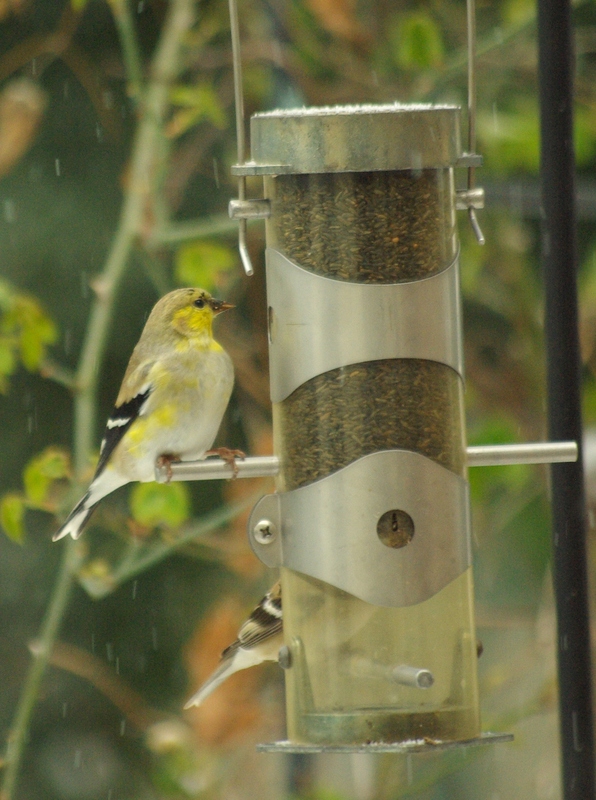 We get the goldfinches in winter, with their winter colors; some of the males may be anticipating spring a bit. 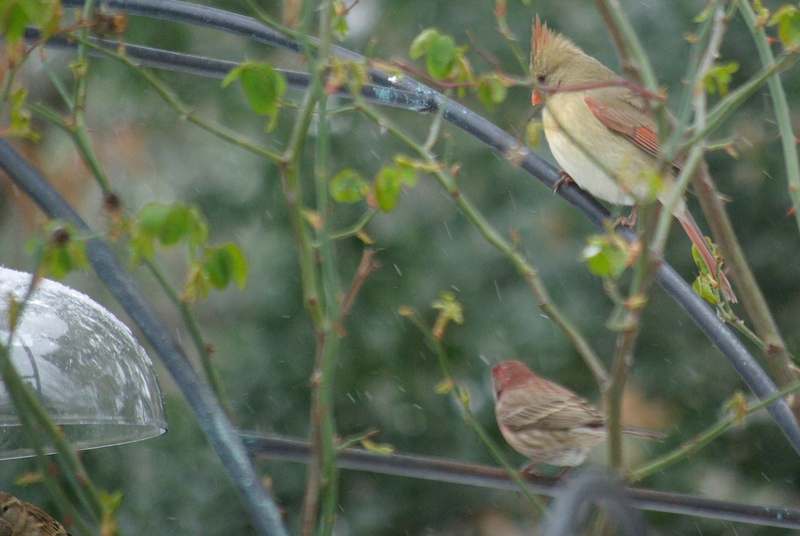 Female cardinal and male house finch await their turn at the small bird feeder. Great photo out of a group at the University of George studying carrion-eating birds. They capture vultures — black vultures are a current project. Close up of an eye of a black vulture. Photo by Megan Winzeler, at a University of Georgia research project. Note the photographer, reflected in the bird’s eye. This bird has the unromantic name of BLVU202.